To many brushes coming in and not enough going out. Up for consideration is a magnificent Elite Razor Manchurian 2 band, Amboyna burl in (lotus)Takamine style handle. Bob’s handles are solid and produced with excellent craftsmanship. Here for $100 NOW $90 includes shipping to ConUS and PP fees. Thanks for looking! Price Drop to $90 for the weekend crowd. I really wish I could afford that. 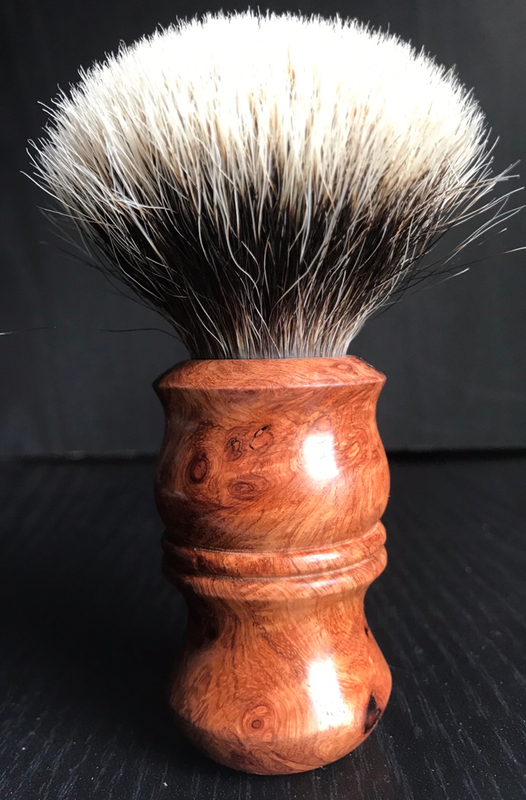 I have one from Elite in maple burl and it is worth every penny. Good luck with the sale! (12-09-2018, 10:54 AM)asiliski Wrote: I really wish I could afford that. I have one from Elite in maple burl and it is worth every penny. Good luck with the sale! Thanks guys! Bob makes some exceptional brushes. These are most definitely a great value at this price.